Holiday meals in Asia are a polyglot of flavours and colours. Veggies and fruit are often thrown together to offset heavier dishes such as curries or noodles dishes. 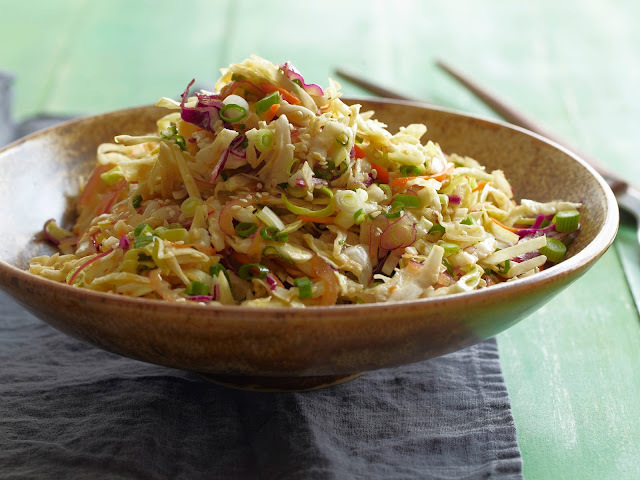 Instead of holding to traditional sides for your turkey, ham or roast, try out this Asian Slaw, courtesy of The Working Parents Cookbook (Chronicle Books) and the even more adventurous Cucumber and Pineapple Salad (adapted from A Cook's Guide to Asian Vegetables by Wendy Hutton). Pour the sauce over the vegetables and toss. Mix in toasted sesame seeds (optional). Put all the ingredients for the dressing in a blender or grinder and make into a paste. Rake the skin of the cucumber with a fork and rub it with the salt. Rinse under running water, squeeze the cucumber. 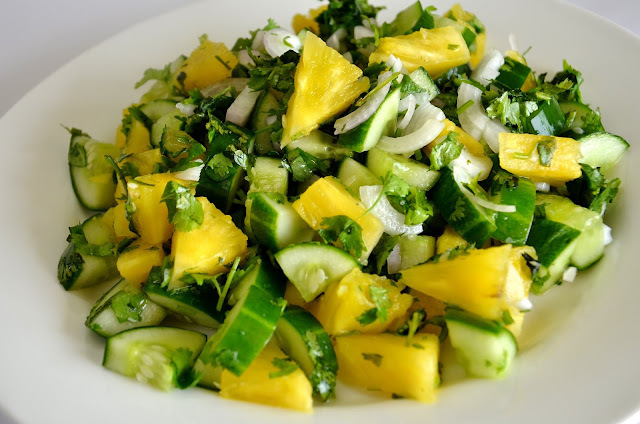 Dice the cucumber and place in a bowl with the pineapple. Add the dressing and toss.